Everyone writes about how to get points; apply for a bunch of credit cards, commute from NY to LA on a daily basis, or hack into your parents’ account, smash and grab style. For the time being, I’ve chosen to focus on what to do with the points once they have been acquired, though I did offer a primer called 30 Days to Maldives on how to get in the game. As I begin to write more Travel Guides, perhaps I will dive into the specifics of how many points it took versus how much it would’ve cost out of pocket. Today, I would like to focus on the science and evolution of a practice called manufactured spending. The best feeling in the world comes from churning. i.e., applying for multiple credit cards at once to get the sign up bonus. 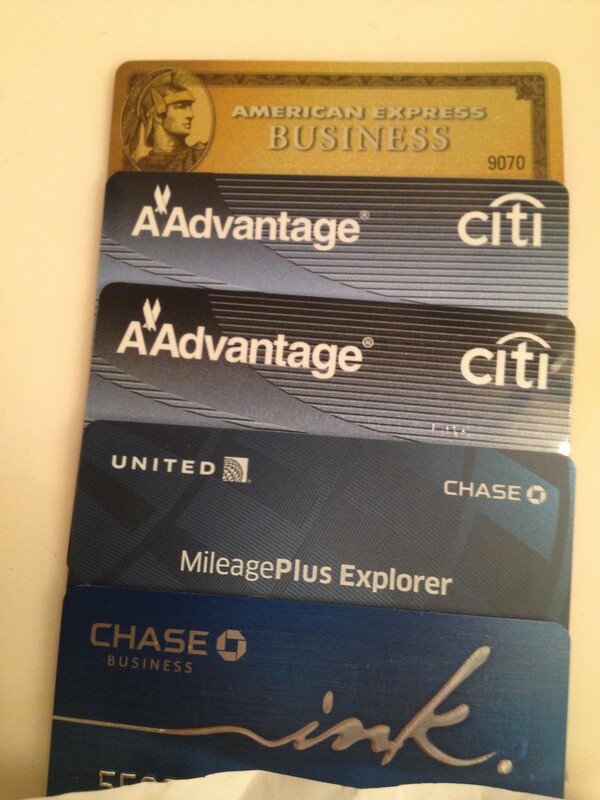 How many AAdvantage cards do you have? Ive had six! 2 Exec, one MC, one Visa, one Amex, one business Visa. Then the anxiety sets in when you realize you have to meet the spending requirements for all the cards within 3 months. Recall 30 Days to Maldives: Step 1, no credit card debt is allowed, so buying that Maserati on credit to meet the mins is out of the question. So how do you meet the minimum spend if you are smart enough to not fall into credit card debt? Manufactured spend, manufactured spend, manufactured spend. Manufactured spending is the art of spending without spending. Method #1: The U.S. Mint: Years ago, before I even entered the points game, churners used to buy coins from the U.S. Mint on their credit cards, deposit those coins into their bank account, then pay off the credit card with those funds. That practice is no longer an option. Method #2: Office Depot and Vanilla Reload: Next up was everyone’s favorite, the Vanilla Reload card. Vanilla Reloads have a fascinating history. Initially, they were sold in many retail stores including office supply stores like Office Depot. The savvy points person who had a Chase Ink business which gave 5X Ultimate Reward points for office purchase could buy V-Loads at increments of $500 each for a fee of $3.95. Because these purchased showed up as ‘office supply’ transactions, the savvy points guy would yield thousands upon thousands of points for doing next to nothing. Method #3: CVS and Vanilla Reload: With the demise of V-Load purchases at Office Depot, the points people turned their attention to CVS which allowed the purchase of these cards on any credit card. Although they didn’t yield the 5X points from before, they did provide an easy way to meet the minimum spend on all those credit cards pictured above. The process was straightforward: Go into a CVS, pick up 2 V-Load cards for $500 each, a Twix bar, and a Coke Zero. Do this a few times a month and bam! minimum spend complete. Of course, buying V-Load cards would’ve been useless if there wasn’t a way to liquidate the cards with no fees. Enter Bluebird from American Express. Bluebird is a free checking account that allows subscribers the benefits of having a checking account without dealing with all the fees charged by big banks. In the old days, Bluebird users would load their accounts online with the V-Load cards they purchased for next to nothing. From there, Bluebird users could pay their student loan bills, mortgages, or simply withdraw the cash from an ATM. CVS, like Office Depot, eventually realized they were losing money on these transactions. So this, like the U.S. Mint is no longer an option. Method #4: Amazon Payments: The noose around manufactured spending began to tighten with the cash only purchase restriction of V-Loads. But, manufacturers still could depend on their old faithful compadre Amazon Payment to rack up spending each month. Amazon Payments allowed users to send their friend $1000 a month with no fees via credit card. Then the friend would turn around and send the money right back. As you can see, Amazon Payments are no longer an option. The smash and grab from your parents’ cache of points account is looking more appealing right? Fear not points churners, young and old, there are still a couple of ways left, for now. As an aside, I’m still relatively new to the points game, having learned of the points community back in 2011. Anyhow, when I first started I used to read about these points secrets and wish, post gaining the valuable info, that bloggers would stop yapping about the tricks. The indiscreet dissemination of this information has undoubtedly killed deals and closed points loopholes. However, my selfishness notwithstanding, I will say that all good things come to an end forcing us to adapt or die a pointless death. Method 5: The Rubber Ducky Debit Cards. These cute little buggers will do all the heavy lifting for your manufactured spends. Do you like going to Walmart? Don’t answer that question. But, if you don’t then you better start liking it if you want to stay in the manufacturing industry. Here’s how it works (and yes this option still works). Search ‘Giftcardmall’ and follow the link to that site. 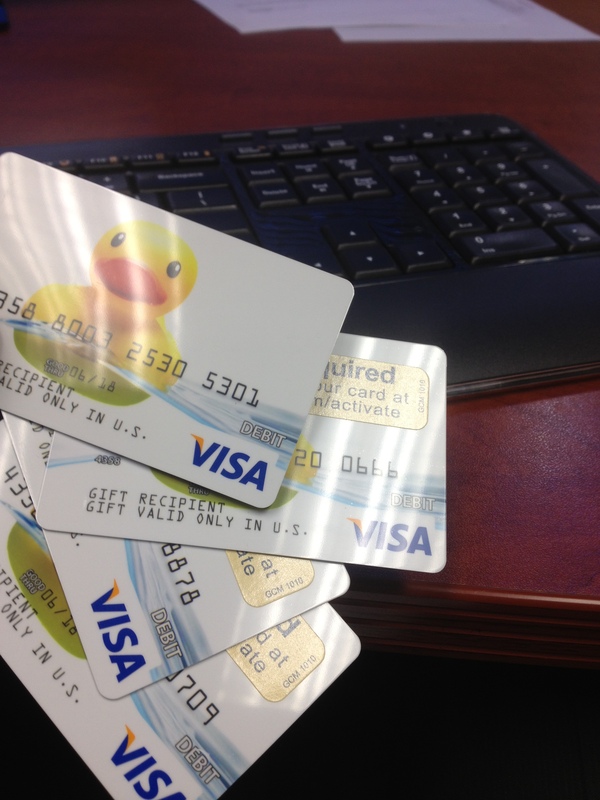 From there,search ‘visa giftcards’ leading to a results page of the cute ducky pictured above. 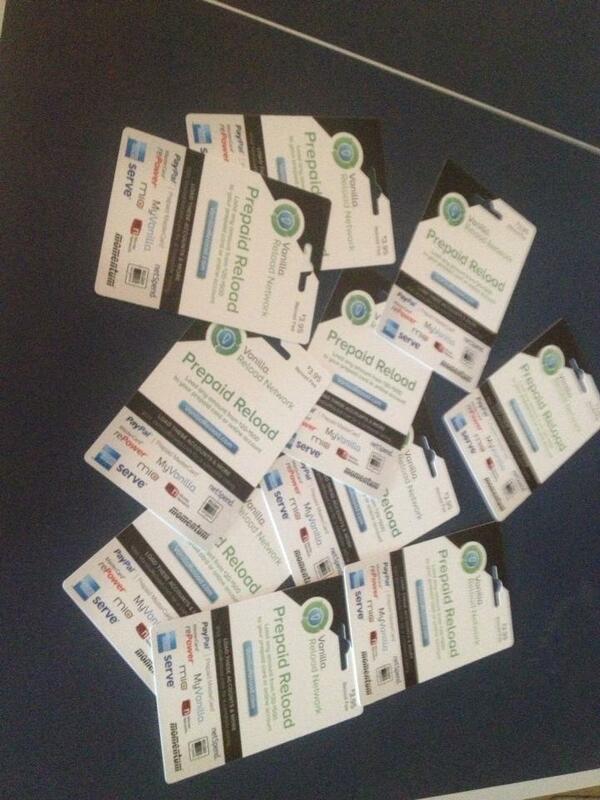 Purchase the cards in increments of $500 on the credit card needing the spending. Wait forever for the cards and activation codes (they are delivered separately for security) to arrive. Take the cards to Walmart along with your Bluebird. Tell the friendly cashier to load $500 onto your Bluebird Card. Hand her the Bluebird card, swipe your Gift Card, and enter the pin when prompted which is the last 4 digits of your cute ducky card. *There is a daily limit of $1999 for loading your Bluebird with ducks. Still hate Walmart? Maybe you do or maybe you will after dealing with the giftcard approach, no matter how cute the duck. Too bad Amazon Payments are dead. The final frontier for manufacturing, or more likely just the next frontier is the Swerve card. I have yet to try this method but bloggers every second of the day are posting the same post about how Swerve is the greatest thing since….Amazon Payments. Cancel your Bluebird as you cannot have both Bluebird and Swerve. Use your Swerve card to load $200 a day from your credit card (up to $1000-$1500 a month depending on the Swerve card you sign up for) in the same fashion as Amazon Payments. Buy rubber ducky as you did before and go to Walmart as you did before. I am not able to use my American Express cc’s to MS on giftcardmall.com and giftcards.com Do you know of any other online or local option to MS with American Express? I’d be very cautious with MS with Amex because of financial review, especially as of late. I am not sure of other options per se but if you visit the frequentmiler’s website, he covers every angle. I’ve never written a check before but I never heard that was necessary. It looks like topcashback now has wording that specifically excludes visa gift cards from giftcardmall from receiving cashback. So I dont think this is better than actually going out and buying a vgc locally. No way! Thank you for sharing. I just confirmed that you are correct and will adjust my post to reflect this. However, I know for certain that vgc locally will NOT work for reloading Bluebird at Walmart. So the solution is to find another portal to buy giftcards with cashback OR eat the cost from giftcardmall. Topcashback used to offer 2% then it went down to 1/2%. In any event, I used to purchase 4k worth of giftcards which would cost $4055.82. I used to pay $3.95 for each vanilla reload making this option, with no cashback $24.22 more expensive. Assuming I can’t find a new portal, I think it is still worthwhile. When buying the cute ducky card, wouldn’t the purchase considered a cash advance? I’ve never had it charge me as a cash advance and I’ve used Citi and Chase.